If a biohacker can use data to predict when he’ll get the flu, then what are the possibilities for society? 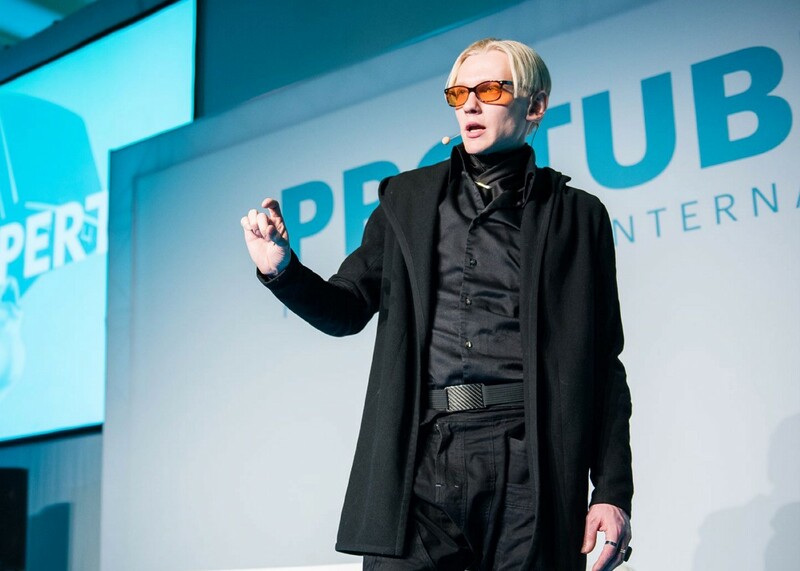 “Wanna learn some Jedi sh*t?” biohacker Teemu Arina prods the audience from the stage. Dressed entirely in black, Arina could be Neo from The Matrix or Locutus of Borg (when wearing a microphone). His appearance suggests he’s of another planet or a parallel universe. But the reality is that he’s visiting us from the future. Arina may be the world’s ultimate biohacker. With every breath he gathers data. He sleeps with a headset to track sleep patterns. Upon awakening he dons a biometric shirt. His morning coffee is a concoction of ten ingredients designed for an optimal start. His kitchen resembles a chemistry lab, allowing him complete control of what enters his body. The air in his home is humidified, purified, and ionized. Its lighting adjusts automatically to harvest daylight, and he is sensitive to the fact that LEDs block melatonin production by a factor of five when compared to incandescents. When on alien terrain he often wears yellow glasses to protect against toxic lighting. Arina’s entire day — his entire life — is committed to optimization: diet, biology, even posture. He knows that if a Homo sapien dips his head at a 60-degree angle to strike the Homo mobilephonus pose, it puts 27 kilograms of stress on the neck. He regularly visits Estonia’s SynLab to track 100 blood markers. 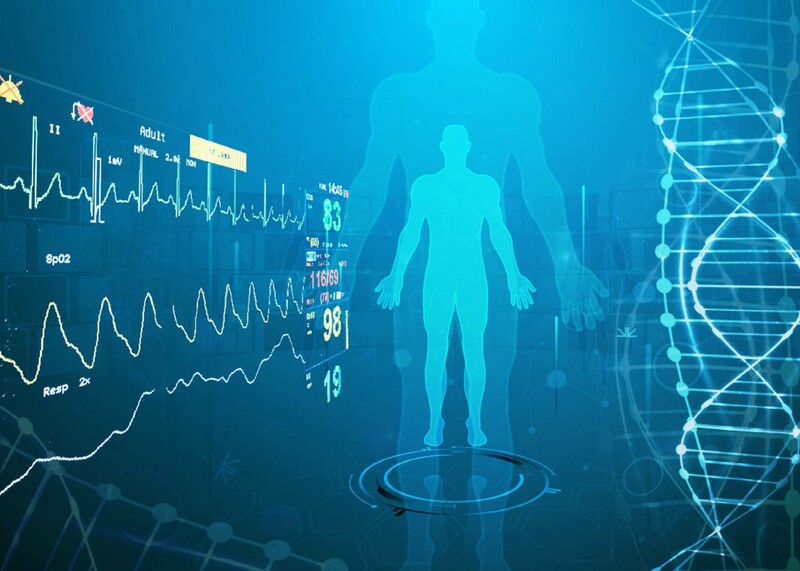 His blood analysis is snapshot of his health at a given moment which, coupled with real-time data, allows him to monitor change and to predict his medical future. Thanks to data, Arina knows that at 7:30 a.m. his melatonin secretion will stop. At 8:30 a bowel movement is likely. At 5 p.m. he will enjoy his greatest cardiovascular efficiency and muscle strength. And it is this very same data that told him he’d get the flu. “When you’re stressed you’re not creative. You play it safe and do the things you know work. You also lose your immune system.” His solution was to lie low for a month, allowing his parasympathetic nerve system to fully recover. He’s been healthy since. Why does Arina do it? Is he a Borg driven by the need for perfection? “This isn’t sci-fi dreaming,” says Kusmin. “Thanks to the internet of things, the use of digital twins is the here and now and it’s very cost-effective. Kusmin grants that the manufacturing industry has more resources at its disposal than individual hackers like Arina, but says it’s only a matter of time before digital twins find their way into Arina’s world. Teemu Arina spoke at Proekspert’s internal conference. Proekspert specializes in data science and embedded analytics to make devices, machines, and robots smart.